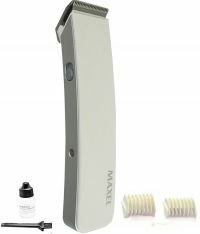 Trim your beard conveniently with the Maxel professional beard trimmer. It features a compact design that makes it easy to handle. The trimmer is ideal for use even when you are on the go and charges in below 5 hours. It comes with over load protection. Maxel offers you the wide range of beauty and grooming products. The products rank high in functionality and are sure to suit your purpose. The brand's products are superior in quality and durability. 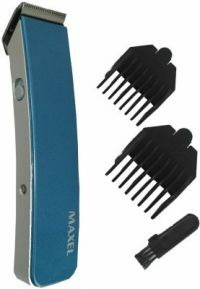 Maxel Pro Skin Advance JM's AK-216 Trimmer For Men Trim your beard conveniently with the Maxel professional beard trimmer. It features a compact design that makes it easy to handle. 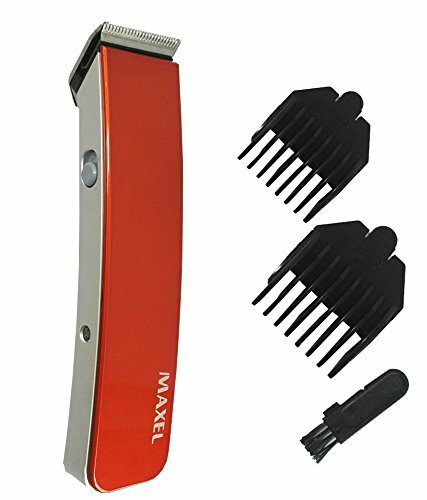 The trimmer is ideal for use even when you are on the go and charges in below 5 hours. It comes with over load protection. Maxel offers you the wide range of beauty and grooming products. The products rank high in functionality and are sure to suit your purpose. The brand's products are superior in quality and durability. The trimmer’s blade is sharp and will shave or trim excess hair off in a few smooth strokes. Ensure that the trimmer is charged at all times and that its blade is clean, and you are good to go. No more restricting your movements to accommodate a power cable! Its blade is made of tough stainless steel that is not susceptible to rust or corrosion. To Recieve updates and possible rewards for Maxel AK-216 (Red) please sign in. To Recieve updates and possible rewards for Trimmer, Clipper & Shaver please sign in.